records discs... and throws them, too -- as a national champion in Ultimate Frisbee. 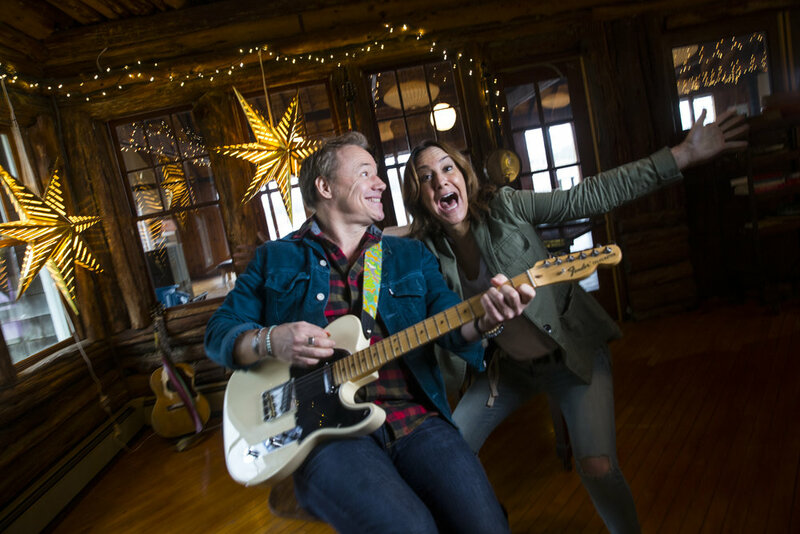 Learn more about the Lil' Band's vocalist and mandolin player in this week's #BandMemberMonday! 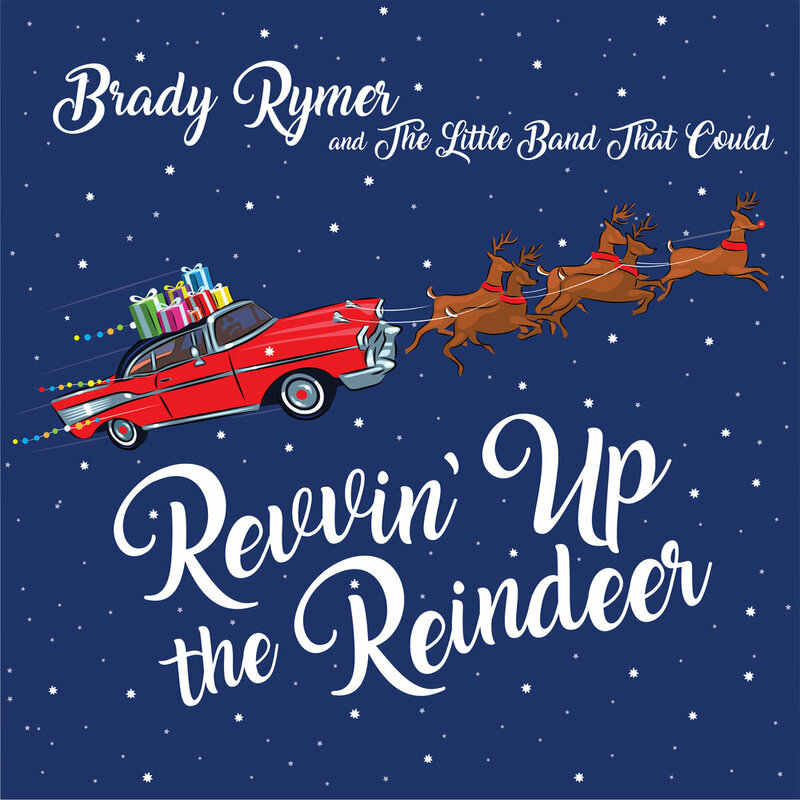 Q: What is your favorite track on Revvin' Up the Reindeer and why? A: Brady’s an incredible songwriter -- smart, funny and full of love. On the smart/funny side, the CD is loaded with great tunes and “Revvin' Up the Reindeer” takes the prize. My fave though is “Christmas Peace.” It sounds like a classic. 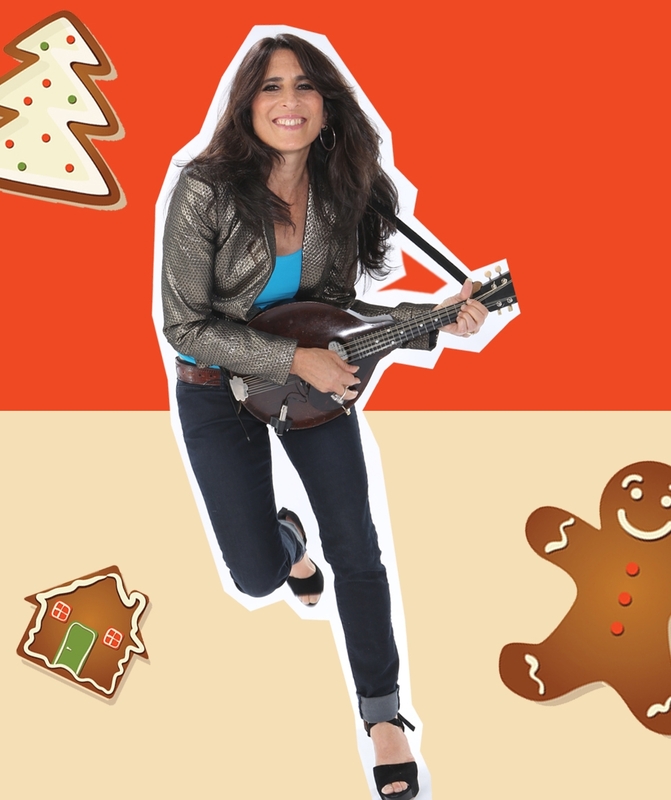 Listen to "Christmas Peace" with vocal harmonies by Liz. Q: What do you like to do when you're not playing with the Little Band That Could? A: A lot of music - performing, composing, teaching; and a lot of yoga. Oh yeah - love spending time with my husband and son, too! "Hallelujah (sing for hope)" by Liz Queler, sung with her husband and son, Seth and Joey Farber. The song was written to increase awareness for Alzheimer's, and each video play donates to the Alzheimer's Association, NY Chapter. Please share. Q: I understand you are an Ultimate Frisbee player! How did you get involved in the sport and how does it play a role in your life? A: I started playing in college and played for the first women’s club team to win a national championship. I played for 15 years, made it to seven nationals (winning twice) and two world’s. I loved that I could play competitive sports into my thirties, have a team of fierce women to hang with and know that anywhere I went in the country, I could find a game, a sofa to crash on and some awesome people. Q: Could you tell us a little about your mom, renowned opera conductor Eve Queler? What was it like growing up in a musical family? A: My mom is pretty fantastic. A trailblazer for women conductors, she’s presented over 100 concerts in Carnegie Hall and guest conducted all over the world. Growing up, I would typically come home to a living room full of opera singers. It seemed perfectly normal to me at the time. Brava, Liz's mom! You ROCK (in an operatic way!) Watch the 2010 NEA Opera Honors tribute to Eve Queler above. Q: Now, what is it like raising a musical family? Could you tell us about being in the LBTC with your husband, Seth, and what it is like performing as a family with Seth and your son, Joey? Liz's son Joey Farber's first album, The Early Years., released in 2006 when he was 7 years old. A: We started bringing Joey along on gigs when he was a baby. Little by little, he started coming on stage, playing instruments and singing. Now he’s even writing some of the songs. It's pretty special sharing this part of our lives. Check out Joey singing his original tune, "On the Train." Here's the whole family, with Joey playing the bass & singing up a storm! A: Aside from Verdi, I grew up on Bonnie Raitt, Stevie Wonder, CSNY, Linda Ronstadt - and a whole bunch of soul, blues, rock, funk and folk. "Love Has No Pride" by Bonnie Raitt, David Crosby and Graham Nash at the 25th Anniversay Rock and Roll Hall of Fame Concert. What is your best memory with the Lil' Band? We’ve also had some great times on the road. Watching Stevie Wonder sound check at the Austin City Limits festival was definitely fun. And walking the red carpet at the GRAMMYS! bassist for the Little Band That Could, is no stranger to performing holiday music. Did you know he's played holiday shows with Ronnie Spector for the past 20 years? He was also a member of Bruce Springsteen's Seeger Sessions Band! Learn more about Jeremy in this week's #BandMemberMonday! A: Probably "It's Christmas Time." Just a simple, beautiful song with a simple, beautiful sentiment. I also really like "Holiday Jam," it has a different groove from the rest of the record. Brady's always looking to try something a little different. A: Well for the past 20 some years I've spent a lot of time during the holiday season doing gigs with Ronnie Spector playing her songs from the Phil Spector Christmas record, which, like Brady's record, is a rare example of holiday music that not only isn't unbearable, but actually is fun. So there's that! Listen to Ronnie and the Ronettes on the beloved holiday classic, "Frosty the Snowman" from the album A Christmas Gift For You. A: Stay busy with gigs and hang out with our 6 year old. Q: What's it like playing with Bruce Springsteen and being part OF the Seeger Sessions BAND? A: Just a great experience to play with him and all the other amazing musicians he assembled. The shows were joyful and spontaneous, anything could happen! Bruce and Jeremy onstage with the Seeger Sessions Band. So many -- but i guess the music I most keep coming back to is southern soul music of the 60s, stuff that came out of Stax records and Muscle Shoals as well as stuff from New Orleans. Check out the Stax inspired bass line on the Little Band's "Don't Knock It 'til You Try It." A: Sometimes people are surprised that I can juggle. Other than that I rarely surprise people! A: When I started playing with Brady it was before I had a kid of my own. I couldn't believe how early in the morning the shows were!! Brady once turned to me when my eyes were a little bleary and said, "you did know this is a kids' band, didn't you?" Now those hours seem very normal! And the best part is playing the CD's we make for our daughter. After a listen or two she knows all the words! has been a Little Band That Could member for nearly 16 years! When she’s not playing with the Little Band That Could, Claudia is running a private psychotherapy practice and spoiling her Boston Terrier rescue, Ziggy. A: I lo-o-o-ove the title track because I'm a sucker for a big rollicking rock and roll number and the back up vocals were a blast to sing! "Rainbow Candles" is my second favorite because it's a gorgeous Hanukkah song that makes me tear up every time I listen to it. I've worked with Brady for nearly 16 years and the depth of how prolific a writer he is, never ceases to amaze and inspire me. A: Thanksgiving with my cousins, aunts and our children! So much laughter! I also love spending Christmas with my oldest dearest friend MB, at her place in Brooklyn. She's the best cook on the planet next to Bridget Rymer! What's your best memory with the Little Band? I think touring the country years ago and stopping at a jerky shop in Texas and eating it in the van on our way to Dallas. Also, the moment Steven Tyler crashed our live show at Sirius XM. That was a dream come true! Another cool memory: Claudia & Brady with the City Gym Boys at the White House Easter Egg Roll, 2014. Q: What made you want to start playing the accordion? I thought it would be silly and fun. I've grown to really love it so much. A: My big brother Matt Glaser (he's the artistic director of the American Roots music program at Berklee in Boston). Also, my mother who I would sing show tunes with and I love me the show tunes! Matt Glaser with his band "The Wayfaring Strangers" with special guests! Can you tell me about your dog, Ziggy? I don't like talking about Ziggy. Kidding!! I could talk about him all day! My close friend, the writer Julie Klam, does Boston Terrier rescue and fostering. She said one day," I think you need to meet this one. Come over." It was like an old time movie. Slow motion rushing into each other's arms/paws. He's the nicest beast I've ever met and he smells like you think he might. Q: When you're not jamming with the Little Band That Could, what else do you do/like to do? A: I love the gym, hanging out with my spectacular friends, having deep conversations with my son, and trying to be the best human I can be! Connecting with people is my very favorite thing. Life can be hard sometimes, our love for one another is crucial. What is a fun or surprising fact about you? That I'm actually pretty shy. It has taken me a long time to feel comfortable in my own skin despite the fact that I'm a jokester. I'm a psychotherapist in private practice and some people don't know that about me. Is that surprising? Maybe!